Design Sells. We can Help. Comments Off on Spatula City! 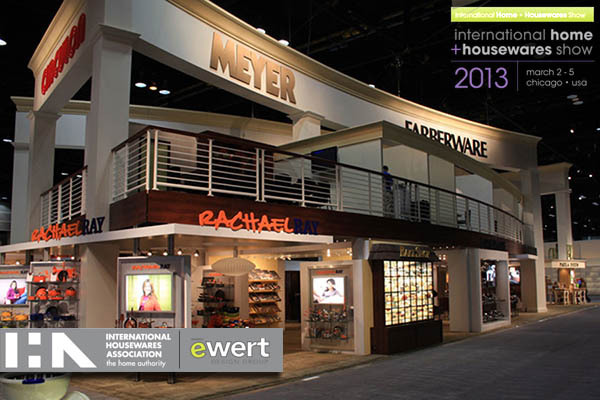 It’s time for the International Housewares Show again in Chicago! We’re proud to show off our biggest and best design to date for Meyer. From a conceptual sketch through designing the details of workstations, this project evolved into the largest exhibit on the show floor in a matter of months. Design challenges were solved within four weeks and then Metro Exhibits had approximately six (6) weeks to produce the components. Finally installation teams have about five days to unpack the crates, set it up, merchandise the product and be ready for show time. And then four days later, I&D teams have three days to take it all down and pack it up. Makes the three-ring circus seem easy! SPATULA CITY – Must Watch! Best Housewares related video ever! Come along for a journey, behind the scenes of the mega sized consumer electronics show CES in Vegas. Makes you want to plant a few more trees. Carbon dioxide occurs naturally in Earth’s atmosphere. It is consumed by plants and as the seasons shift, less vegetation exists to consume all the gas. Comments Off on Calling All Sheep.. Genius; We Love these sheep! Texture and form crafted from one object, too cool! While hanging out with the Glitter crowd might prove to be great people watching we’ll have to settle for good pics for now. This sculpture is crafted from red Lego bricks creating an awesome blend of futuristic qualities realized in a pixelated style. It makes me think… absurd, a little Japanese and textural with city like structures covering the surface, a-la the Death-Star. 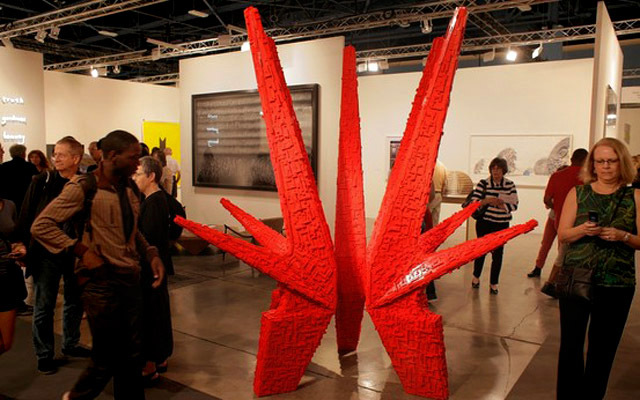 Crafted by Cuban art duo Los Carpinteros, this iconic piece sold for $142,000 to a U.S. art foundation. 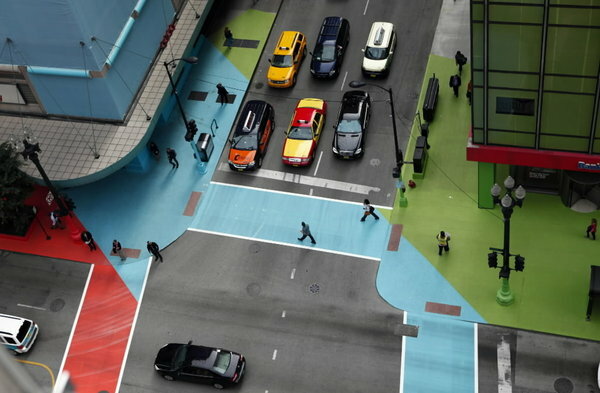 Read full story on Art Basel- Miami in the WSJ article. 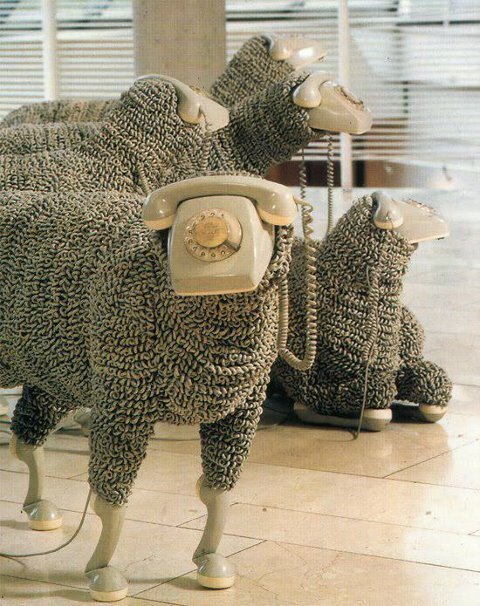 Today’s Inspiration Genius; We Love these sheep! Texture and form crafted from one object, too cool! Who Knew! If we started up an Estonian, Indie, Pop band it might sound alot like these guys…! Going to Europe? Find them here.